"The alchemy of the poet’s craft allows Groom to transform the worst horrors—the death of a child and addiction—into a gorgeous tale of grace. With not one word of self-pity, this is an unflinching look at a life saved by forgiveness." "so piercing and true that you live the story as much as read it. 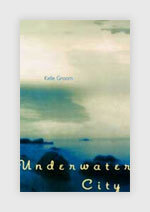 Part of the book's emotional wallop is due to how it's organized—in short, dreamy chapters than skip forward and back in time, letting you piece together the chronology yourself—and part of it is due to Groom's exquisite, lyrical prose...extraordinarily moving..."
"Kelle Groom's [memoir] is intimate in a generous, revelatory way. . . . the reader is enlightened as Groom slowly releases her burdens. Discover: A dark journey through addiction, enlightened by lyrical prose and hard-earned wisdom." "Gorgeous, poetic language ... is the backbone of this unflinching look at a life saved by forgiveness. Are you a human being? Read this book!" "A visceral, darkly lyrical narrative"
"The beauty of memoir in wise hands is that the author can take a stock character (a drunken teen, for example) and twist your perceptions. Groom turns the experiences of a party girl inside-out, illuminating the architecture of willful oblivion. In a few sentences, she renders an evening of carousing—the blurry rush of emotions and images—with the sparky precision of a Rembrandt etching." "Everything is still and yet moving at once. Then, in the middle of the symphony of destruction and chaos, you find her: the lone survivor. The real strength of Groom’s memoir is her poetic language. I read everything with a pen in hand, underlining passages and phrases that impress me. Usually I have ten, maybe a dozen passages throughout...underlined or starred. With this book, I have a line on every page, sometimes several, bearing the imprint of my admiration and awe. I am not sure that in my lifetime I have ever read anything so rooted in the collective experience of being a woman. I have never been an addict, have never lost a child, yet the way Groom articulates the deepest recesses of the female psyche made me feel a sense of recognition that I have never felt before." “Her [Groom's] writing is a wonderfully compelling mix of simple and lyrical"
A "searing yet lyrical memoir"
"Groom, a poet, creates a trance-like state with her writing...surprisingly sweet, heartbreaking and ultimately redeeming." "Reading this book can be a mind-altering experience... I Wore the Ocean in the Shape of a Girl is utterly unlike any other memoir I’ve read...metaphor as brilliant, painful and targeted as a laser. Lovers of language will get pleasurably lost in this account of the mysterious and gradual coalescence of self-identity." "Expanded from a much-praised Ploughshares essay, I Wore the Ocean in the Shape of a Girl is an unflinching yet deeply poetic memoir that captures the rawness and urgency of addiction as well as the tenderness and heartbreak surrounding the loss of a son. The grace and power of Groom's voice and the quality of her writing will linger in readers' minds. " "It’s difficult to over-estimate the emotional intensity of this book.... If I Wore the Ocean in the Shape of a Girl is the story of self-loss, it is also a record of the writer’s healing and great strength. Groom digs perilously deep in her psyche to show us not only the shattering, but her own piecing together of identity. Self-help groups, hospitalizations, half-hearted interventions, lovers, and anodynes all failed to realize in Groom what writing eventually achieved. Writing gave Groom a means of uncovering the past, recovering what seemed lost inside her. Most importantly, it offered Groom and her readers a hypnotic lineage of associations and images that tell the gorgeous and disturbing truth of a life’s journey from chaotic self-erasure to the moment when Tommy and his mother finally see each other as they were, and as they perpetually are in this unforgettable, haunting book. "Tommy, reborn through his mother's empathy, is the pearl sprung from the bitterness of Groom's early life, elegized in a memoir reminiscent of Mary Karr's Lit." 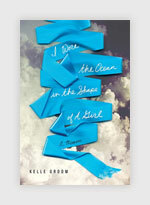 "I Wore the Ocean in the Shape of a Girl is a stunningly written memoir... powerful indeed." "Groom's lyrical prose is addictive. Brilliantly lucid, richly suggestive and ruthlessly honest, this memoir is a triumph of art and life. "[R]endered with graceful lyricism. All events become nearly simultaneous within the narrative, allowing the reader a unique perspective which seems to transcend time... stories in this memoir feel...like the pulse that forces life through all of us. "...trust her. Follow her. The narrative is truer to emotional reality than simple linear time." "The Best New Poetry ...unexpectedly moving." 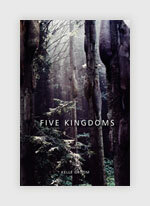 "The poems in Kelle Groom's third collection, Five Kingdoms, weave gracefully between the personal and the political, wrestling larger cultural crises down to their human components....This ultimately human need to connect, to comfort, even across millions of years, becomes the driving force of Five Kingdoms....It is rare to find such a range of emotion, intellect and humor housed in one poet-but here it is, and it is a gift. Groom's is a fiercely intelligent, defiant voice, singing with all her passion and formidable insight." "A stunning collection of poems." "In Kelle Groom’s poem “In the City,” from her new book, Five Kingdoms (her third volume of poetry), a reader must explore loss so seldom discussed we might not otherwise think of it... Five Kingdoms uses such small intimacies to address isolation, mortality, and love. What moves this reader is Groom’s skill with our common language and her intuitive manner of taking a simple,unremarkable moment and embodying its revelations." "Underwater City introduces us to a voice that is both ghost-like and full of wonder. Her imagery is as fantastical and as clear as Magritte's. At times, Groom's poems are so powerful that they seem to touch at undiscovered emotional centers that both shake and comfort us." --The Missouri Review, "On Recent American Poetry"
"Groom skillfully connects loves to losses, generations to one another, and oceans near and distant. . . Each poem offers exceptional craftsmanship, precisely rendered emotions, and haunting images." "Groom proceeds--headlong, staggering and every now and then stumbling onto something extraordinary." "...on closer inspection they [Kelle Groom's poems] start to look like another genre altogether -- something almost pre-prosaic. Many are explicitly about dreams, and even those that aren't tend to follow a dream logic and employ a dream syntax. Their fundamental unit is neither the line nor the sentence, but the thought."